I started collecting rocks as a kid, always loved finding crystals as they are not that common in my home country of Iceland. 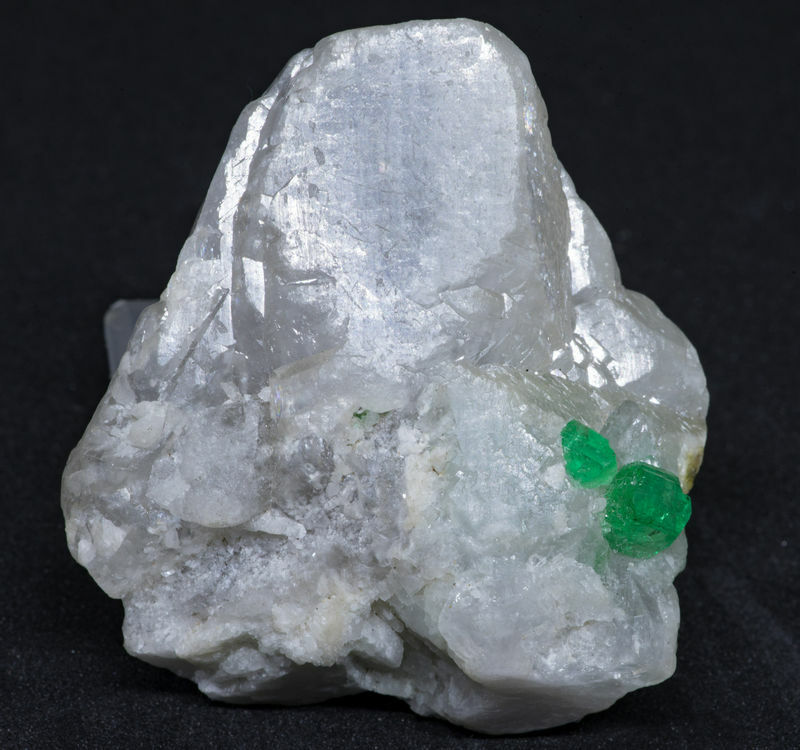 Even though a name-locality for Iceland spar, most of the country is so young that we don't have much to find in most areas. 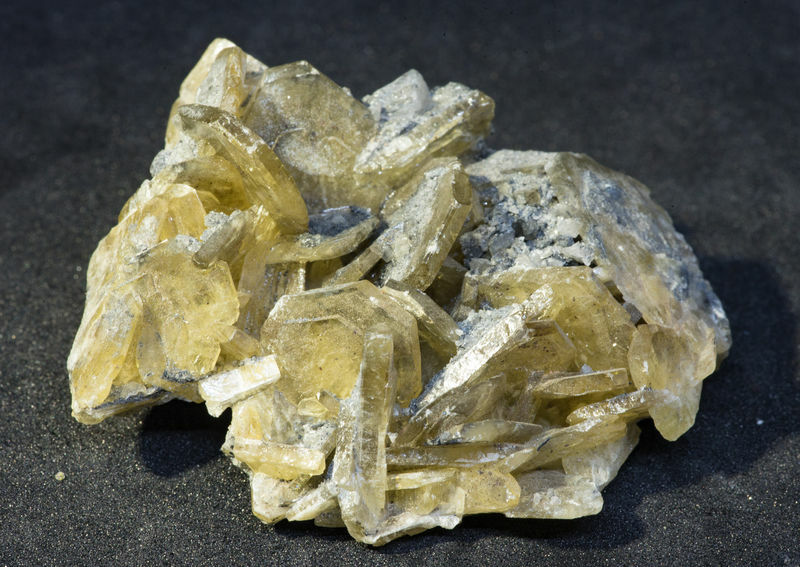 The most common being calcite, quartz and about 30 different zeolites. I didn't have a good collection, mostly stuff I'd found at the beaches, which had lost most of it's proper crystal faces after being rolled around in the surf. My aunt gave me a few she bought in Denmark, and although they did originally have their info with them, I didn't think that was of any importance, being just 10. As a teenager I lost interest and also lost most of the rocks I had collected as my parents moved after I had left home. It wasn't until about two decades later that my interests got reignited. A trip to the east of Iceland, where the rocks are older than around the capital and thus much more crystals to be found, as well as other factors were a big part of this. I now have a growing collection from Iceland (though I'm not aware of many others collecting here and not aware of a club at all). I have a connection to Colombia which means regular trips there and that helps in getting my collection growing from there. And finally roadtrips in the U.S. mean a growing collection from there too. I prefer to have a personal connection to my rocks, rather than just buying from random places I've never been to... so ... although a few may get in from places unknown to me, most are my finds or acquired by me in my travels to the places of origin. 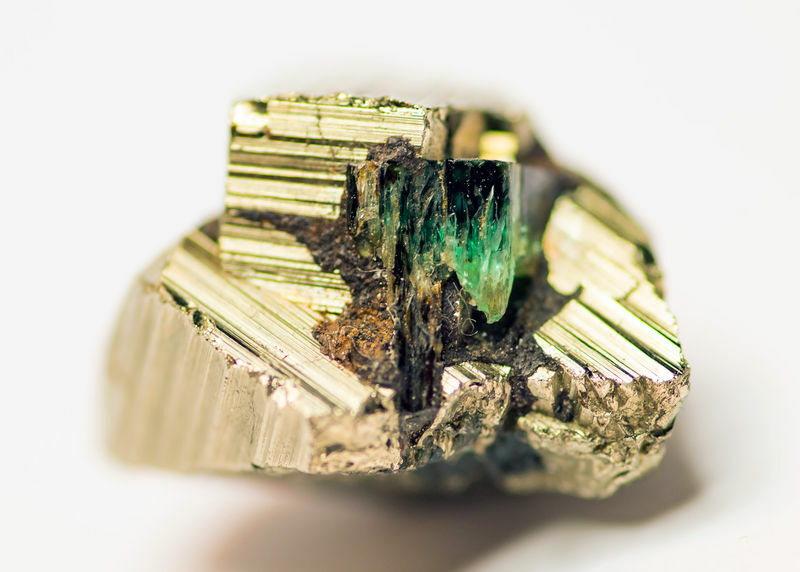 Starting with an emerald embedded in pyrite. Dimensions are total specimen size. Unfortunately seller didn't know exact origins. 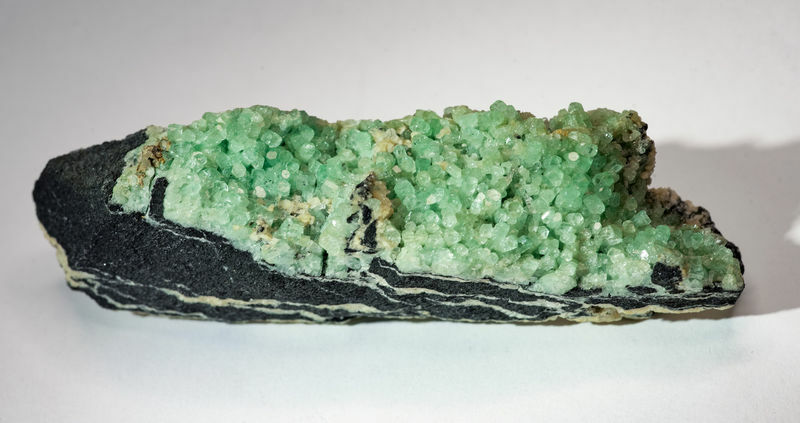 This is probably my favourite emerald specimen. I already posted it elsewhere on the forum (different picture) and hope this image is better. and nearly all are perfectly terminated and after a rough count, there are around 150 !!! 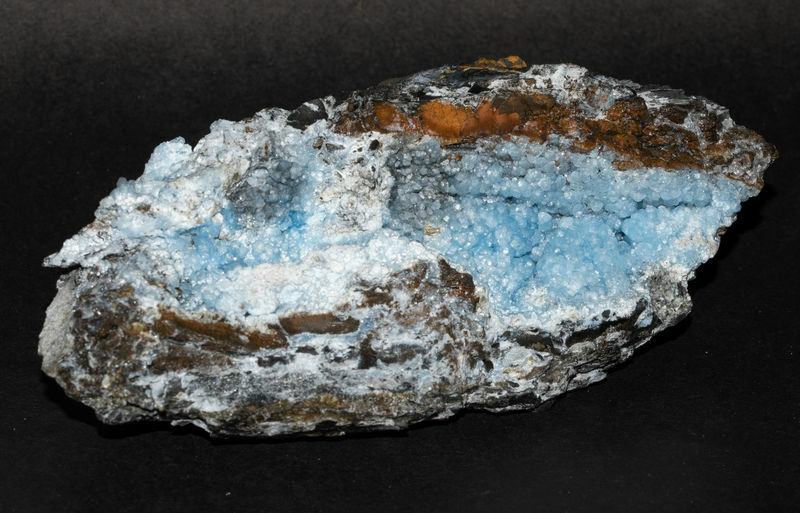 Dolomite is coloured by rust-oxide. Can't blame you for this start. 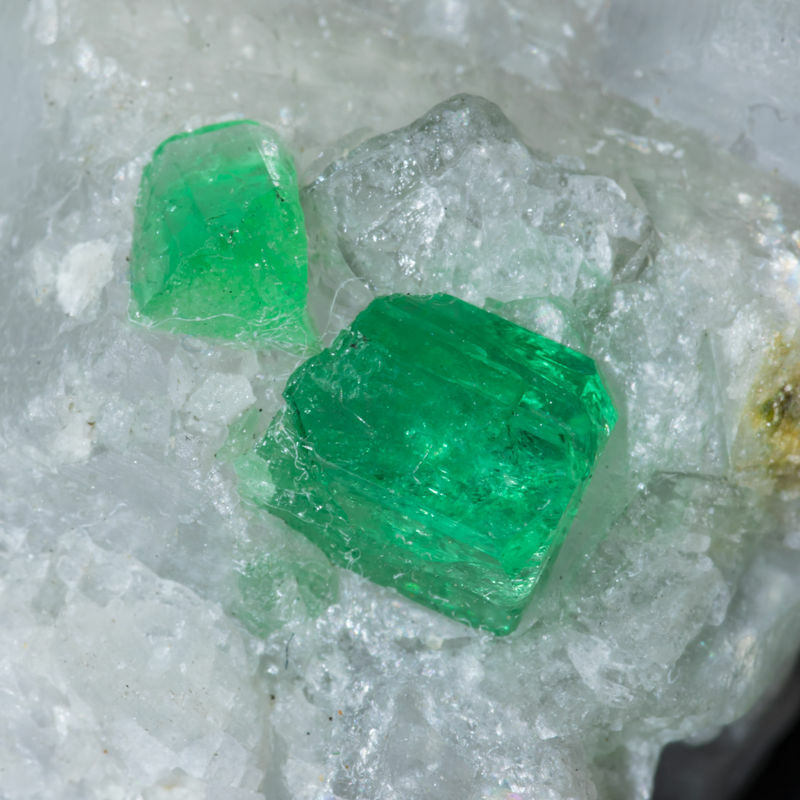 I would say Chivor but it could well be Muzo - all Colombian emeralds are from Muzo right? In Bogota, always challenge the ones who know and trust the ones who don't. Also love this large emerald crystal. With a smaller second to the side, which has broken and mended (has a kink in it). Bought right from the miner himself in Muzo (out by the mines). 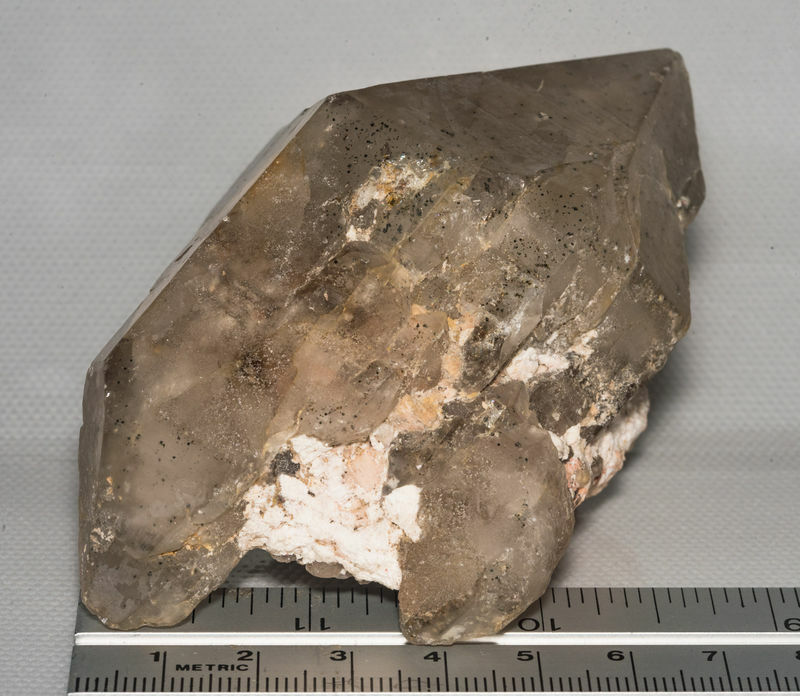 Calcite matrix very corroded (possibly by miner using chemicals). Still on the road, back in the U.S. for the moment and finally got a bit of time to take a few pics of my latest Colombian stuff. Bought from one of the street guys in Bogota. 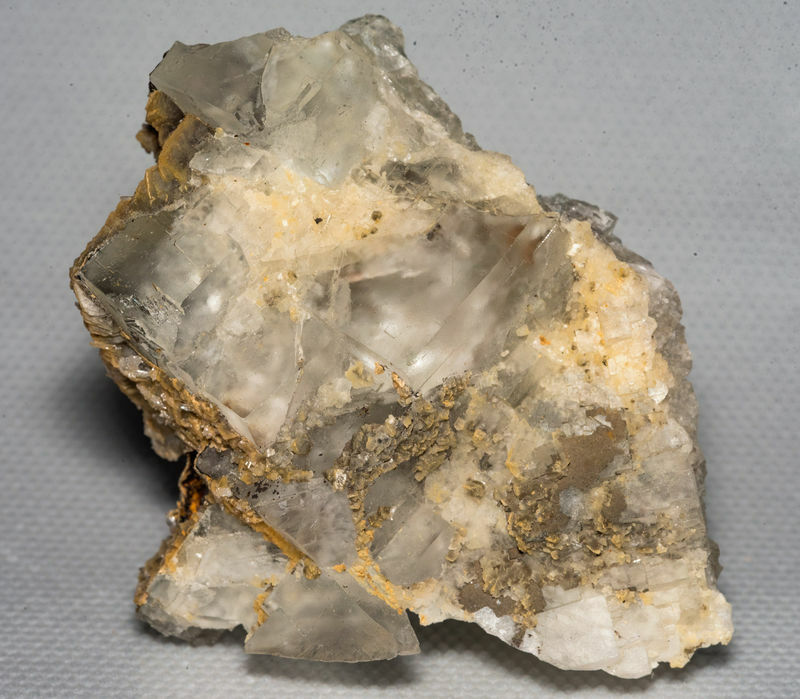 And given the minerals present, I tend to believe that it is indeed from the Muzo area... though of course specifics are missing. 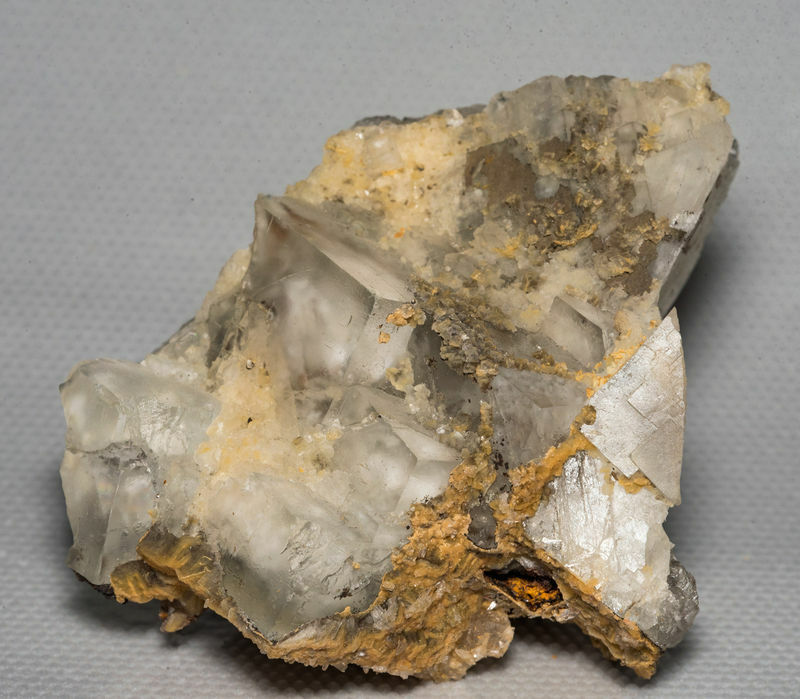 Haven't really seen much limonite before in Colombia.... apart from weird amorphous shapes or possibly rusty coloured shapes left in other crystals. This time tho... not only did I get some Quartz with Limonite after Dolomite or Calcite (no pics yet of those) but amongst other random rocks sold in the street these very nice Limonite after Pyrite cubes. ....as usual with the street guys, no specific location, apart from being sure they were Colombian. I've seen a few barites from Colombia ... similarly coloured, and have a couple... but this is unusually finely bladed compared to the others and unlike my others, all the fine blades are growing on a Quartz crystal. 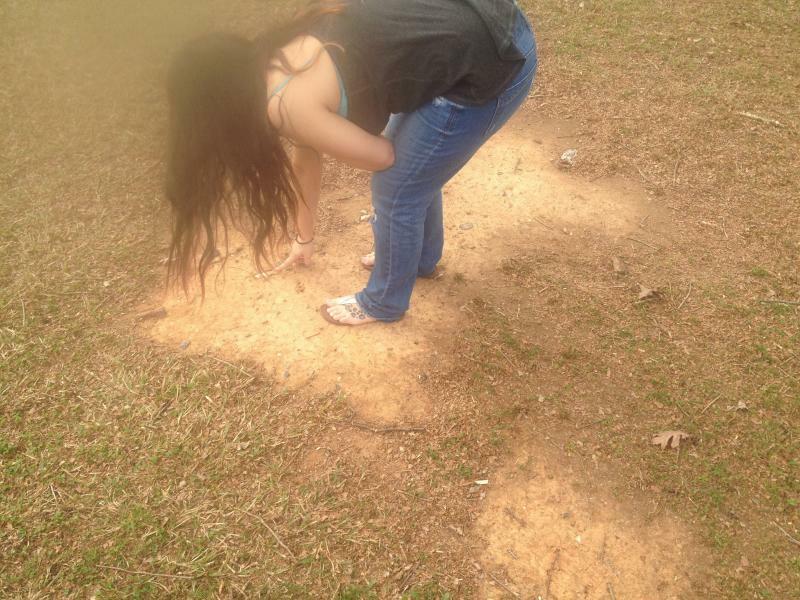 Are you sure this is really Parisite?? 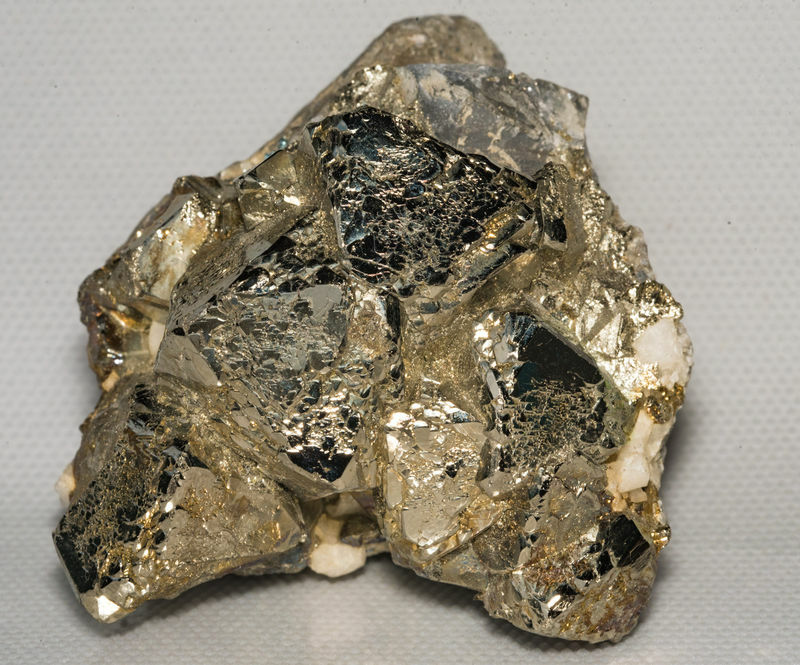 Got the same locality information for the weathered pyrite - Gachalá is a good hint. 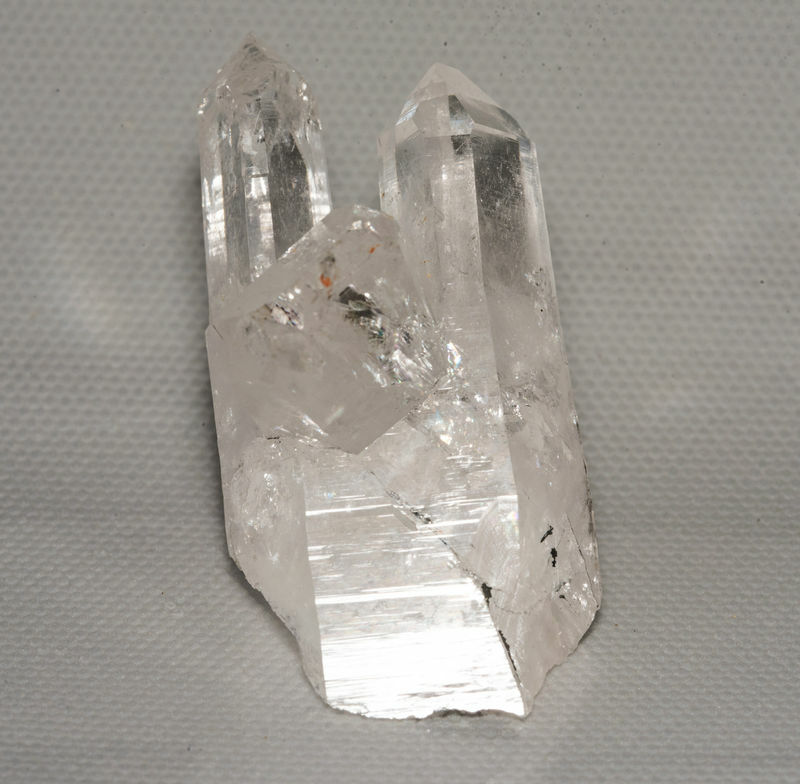 As for the other picture, the crystal blade form is unusual for parisite. 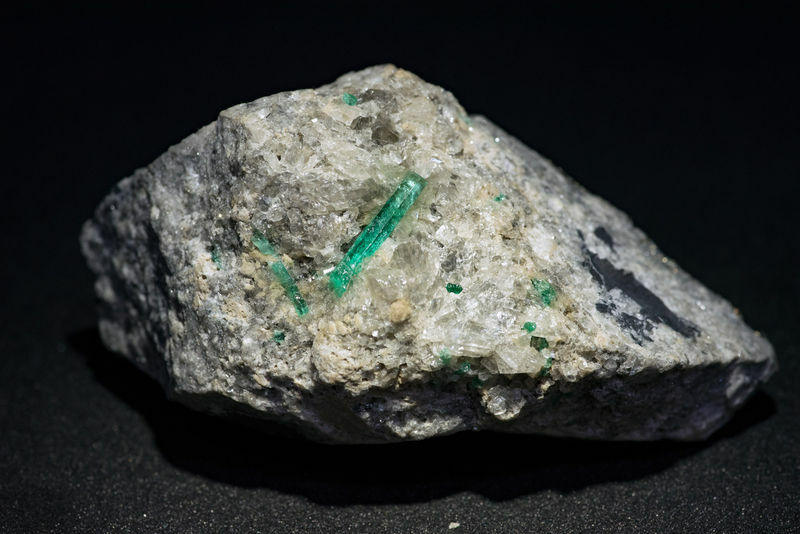 Am not aware of crystallized sphalerite from any of the Colombian emerald districts. 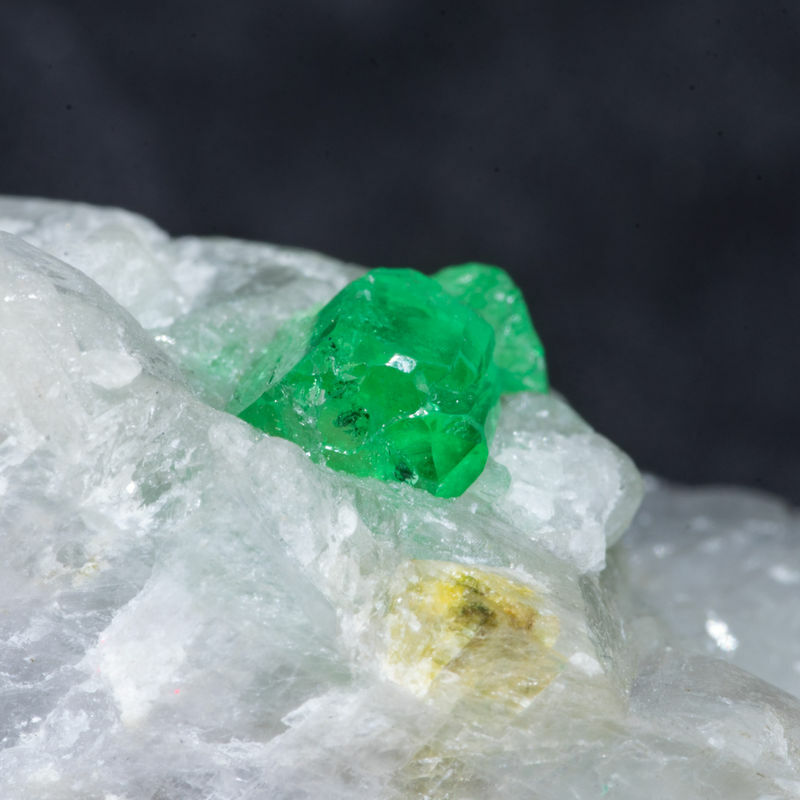 Here is a decent sized Emerald in Calcite. 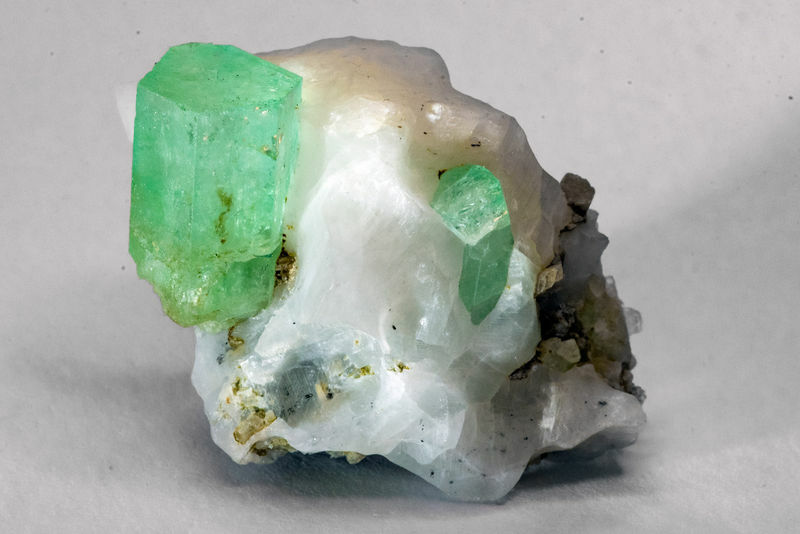 But the colour is wonderful and the main part of the Calcite is mostly intact as well as both Emeralds having good terminations on at least one end. The jeweller I got it from said he didn't expose the Emerald... but clearly someone has. Seller said it came from the La Pita area... and given it's looks I have little reason to doubt that. Recently acquired Fluorite from Colombia. Exceptionally sharp and very unusual for the country, it's uncleaned/on some matrix and has minor calcite/aragonite covering parts of it. I suspect that most specimens coming from here (the ones with the notable green line close to the corners) are in fact not just cleaned, but in many cases with some acids to get rid of those encrustations. Very clean Fluorite considering this is from Peñas Blancas! It seems like the less "classic green" they look, the sharper and cleaner they are. 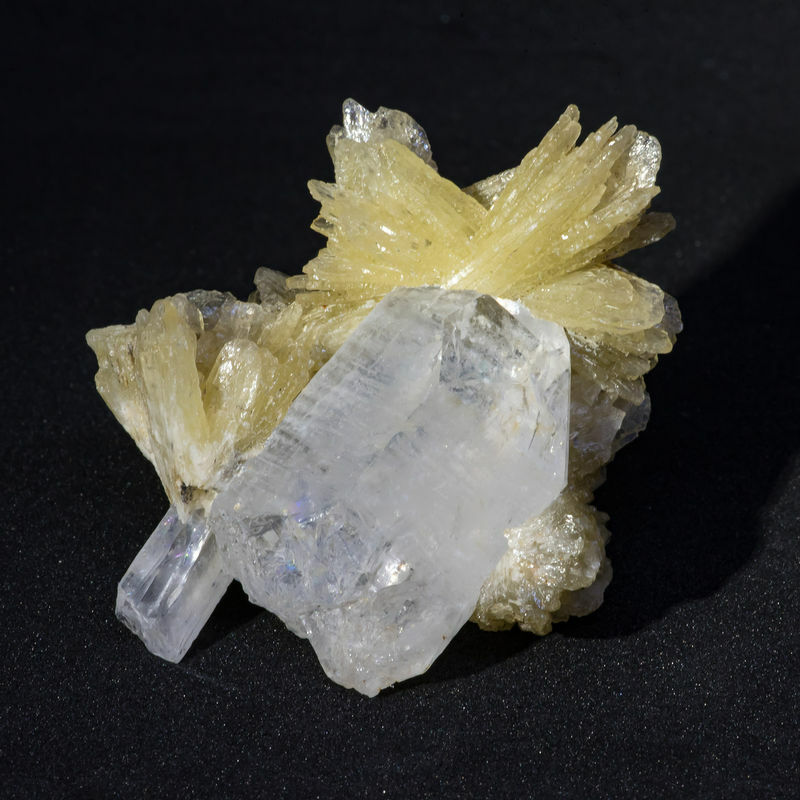 This specimen has several semi-octahedral main crystals, that are each made up of a very complex set of smaller ones. 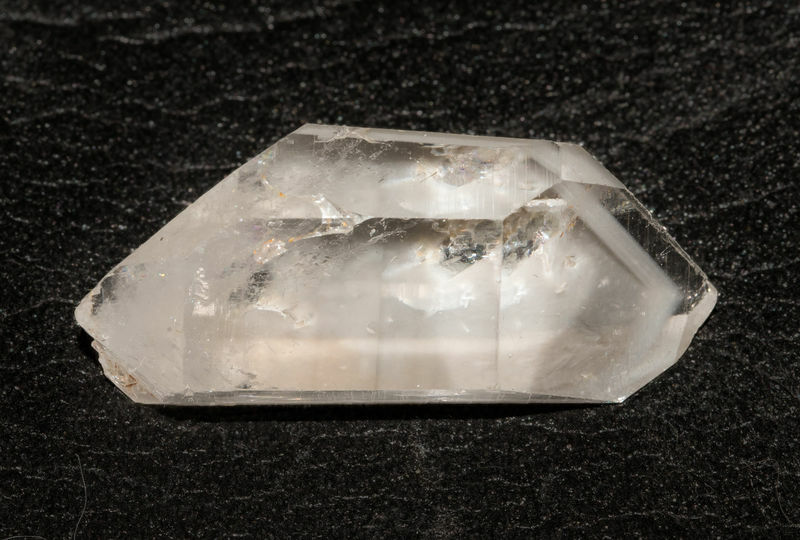 Double terminated quartz with a nice phantom layer in it. Location is vague, was bought in Bogota, and I was informed after the purchase (seller only wanted to disclose the dept. it came from... if even true) that the seller and his wife were the actual miners. This may be another case of semi-legal mining here in Colombia, where the cost of a licence to extract (and fear of losing the land) may be too high or risky and just doing it in secret feels "safer". Interesting split growth of very clear Colombian quartz. 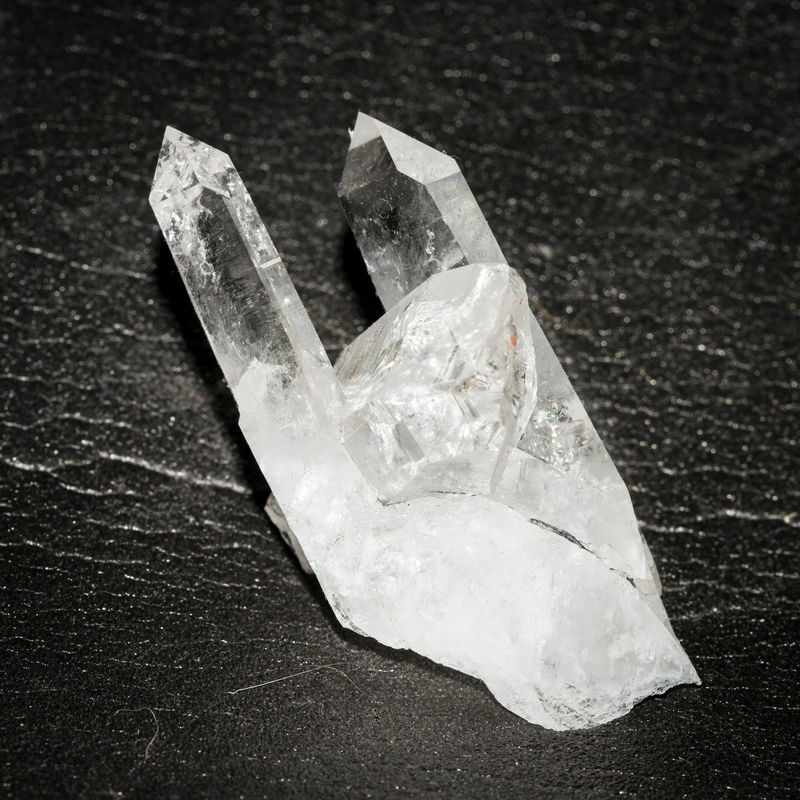 Split caused by an interrupting crystal. Not sure how well it's visible in photos, so I'm posting two, hopefully visible. Has remnants of black shale matrix so not one of the "Santander" ones (they are usually in whitish/pinkish or iron stained stuff)... I would guess Western Emerald Belt... but not sure where. Most of the specimens are extracted by the guaqueros (the "semi-legal miners") and of course the last thing they want is to disclose the location of their own little "gold mine". But what makes things worse in Colombia is the legal status of the property rights. Land ownership is an old and deeply-rooted issue in Colombia, not just because of the mass, undocumented displacement of landowners throughout the past 50 years of armed conflict but also because of the widespread corruption and the fact that the majority of government officials are from families of rich landowners, which has made property titles powerful instruments of manipulation and political pressure. For all these reasons, the mine location/name disclosure is less likely to happen in Colombia than in any other part of the world. Now that I have the lab results in, I can finally add this specimen to my collection page. 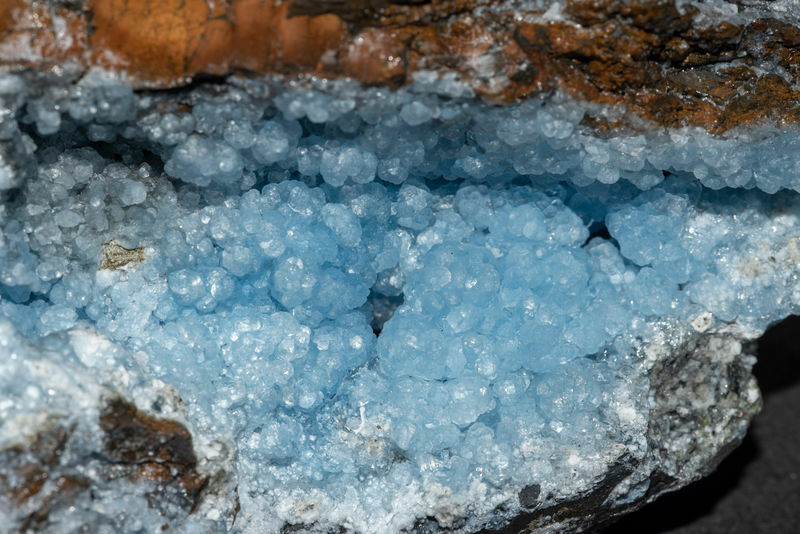 Allophane spherules, up to 2mm in size, on a fragile shale matrix. I think the colour is fantastic... that blue, is to me even better than that of the blue dolomites and as nice as some of the euclases from Colombia.